Another week of photos for your viewing pleasure. I hope you enjoy the photos as much as I enjoyed each moment. 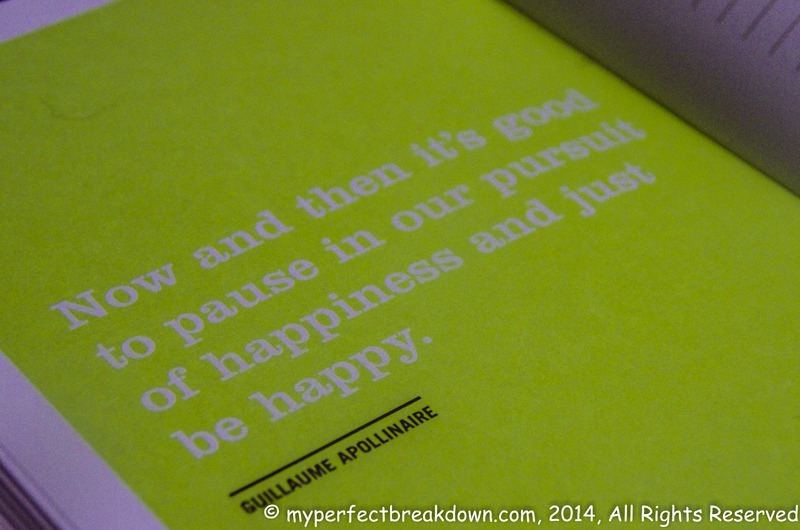 Day 143 – November 26, 2014: I finally had a few minutes to sit down and flip through a lovely journal that arrived a few days early from My Hope Jar. And, when I stumbled upon this page, I couldn’t help but smile and enjoy the message that spoke so clearly to me. 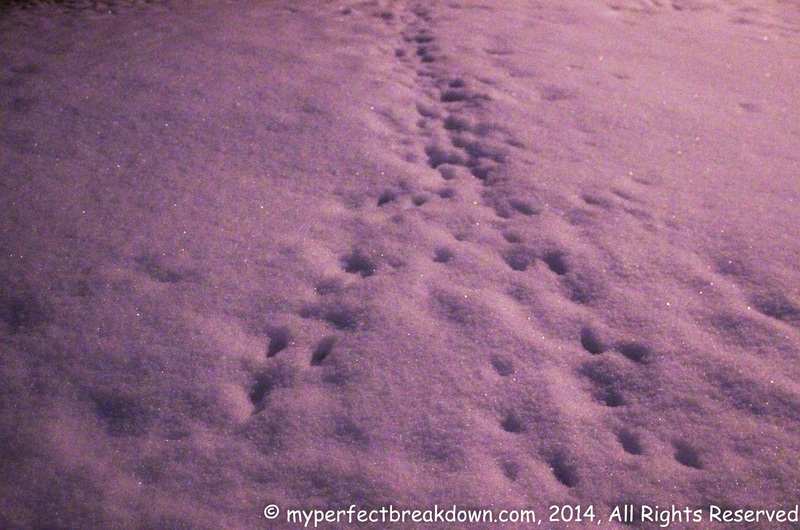 Day 144 – November 27, 2014: Rabbit paw prints in fresh nighttime snow. 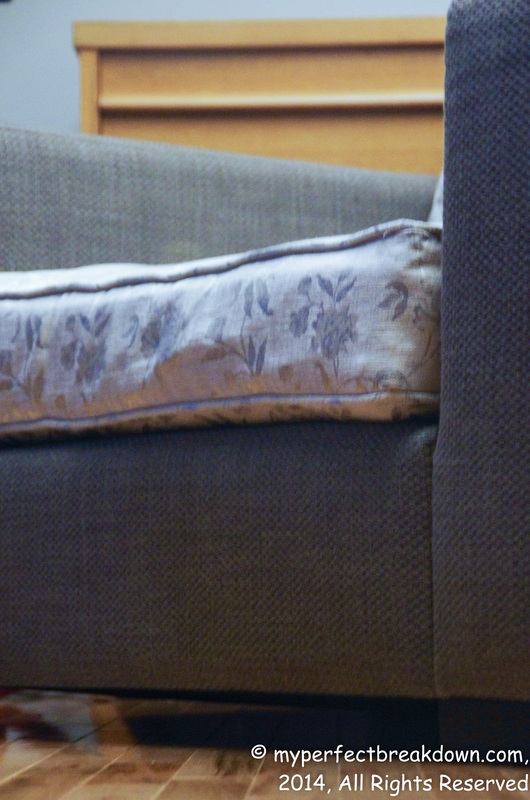 Day 145 – November 28, 2014: While I still want my Eames chair to complete the reading nook in our living room, this second hand chair (that we got for an amazing price) is a perfect stand-in for the foreseeable future. Wild scallops and giant tiger prawns cooked in a garlic butter sauce with a splash of white wine. Portobello mushroom ravioli in a homemade goat cheese alfredo. Fresh parmesan oregano focaccia bread dipped in organic olive oil and maple infused organic balsamic vinegar. 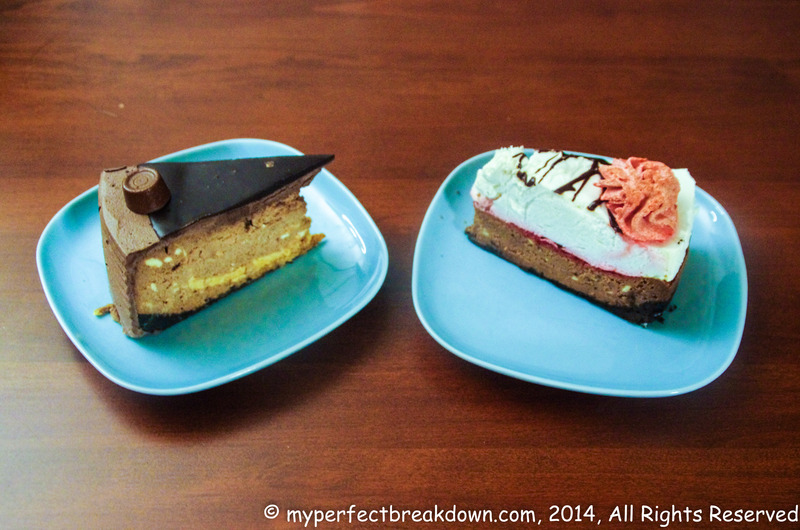 Day 147 – November 30, 2014: Left over birthday cheese cake. Yummy!! Day 148 – December 1, 2014: We added a little touch to our kitchen – invisible floating shelves for some of our favourite cookbooks. Cute things make me happy. 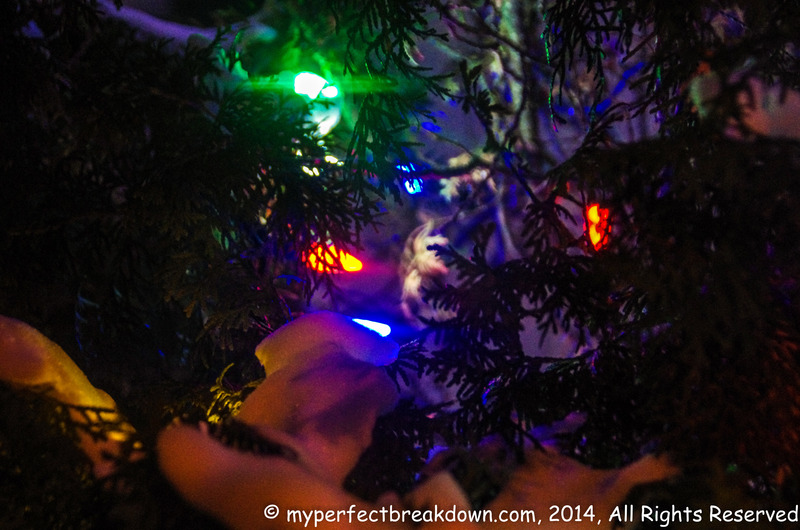 Day 149 – December 2, 2014: Some of our outdoor Christmas lights are now shining brightly every evening (only because we never got around to taking them out of the shrub last Christmas). If the weather cooperates we will hang more on the weekend. ← And the Results Are In. Finally. I love all the photos. The food makes me drool! Wow it’s cold there. Every time I see your photo, it makes me want to go find my happy moments each day. Thanks so much! I want to do this! So cool! Omg, I am salivating. Wonderful happy days pictures. I love how you have a book dedicated purely to ceviche (which happens to be one of my favourite things to eat)! Whenever we travel we buy cookbooks, and we bought the ceviche book when we were in Peru. I’m not a huge ceviche fan, but Mr. MPB loves it. It definitely adds some fun and unique books to our cookbook collection. I just love that quote too! I’m so happy it made you happy hon! And happy belated birthday to Mr. MPB! That dinner looks so yummy! Love the floating shelves too! So cute! Thank you again for the book, it is so beautiful! This quote was one of my favourites, but I like so many of them!! It is truly a beautiful gift. Love the photos — they made me happy and hungry! That quote in particular is powerful and a good reminder for me right now. Thanks for sharing your happy moments! That birthday dinner looks delish! And I love those invisible shelves! Cherish the moment! 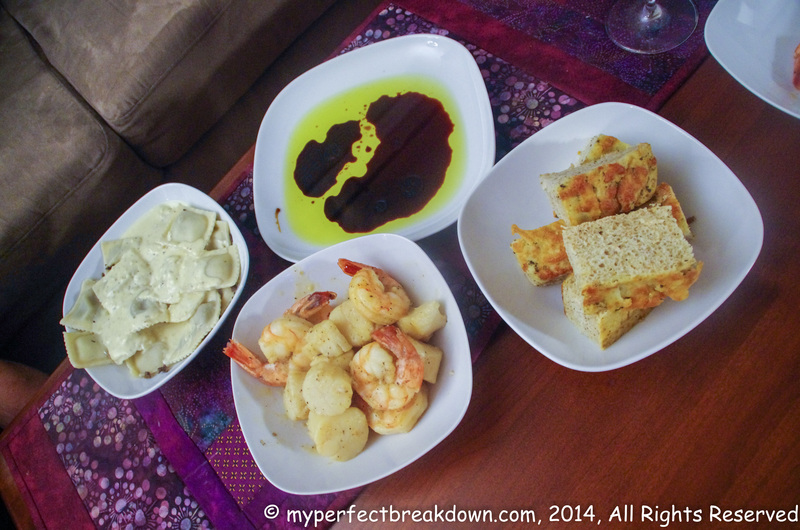 Oh my goodness…dinner looks Amazing and I am in awe of those invisible shelves!!! OMG can I borrow your husband to cook for me at least once a week? Holy cow!!! And how do those shelves work!?!?!? I am drooling over that birthday meal. Way to outdo yourself, Mr. MPB! I wish we had an electrical outlet at the front of our house outside so we could decorate with something lit up. I love the lights!